So, you have received that invitation to a beach wedding, and you know that you cannot miss it for the life of you; but what will you wear? Many people have a hard time understanding the beach wedding dressing code, especially first timers. Gone are the days when beach weddings were cut and dry. You will need to consider the wind, sun, water and the sand when picking your outfit. To help you know what to wear to a beach wedding, here is a useful guide to beach wedding dressing code for guests. What’s more, you will learn of the best color combinations, fabrics, and what to have on your feet. Also, be sure to check out our collection of quality beach attire for men, women, and children including accessories. The first place to look for clues on what to wear is the invitation. It is true that some couples no longer tell guests the required dressing for the ceremony, but many will note whether the code is casual, formal, or semi-formal. When the code is given, it is imperative that you stick to it and use it as your only guide. On the other hand, if the invitation doesn’t include the dressing code, you can seek clarification from the couple itself or ask around to know what everyone else will be wearing. The last thing you want is to be the odd one out. 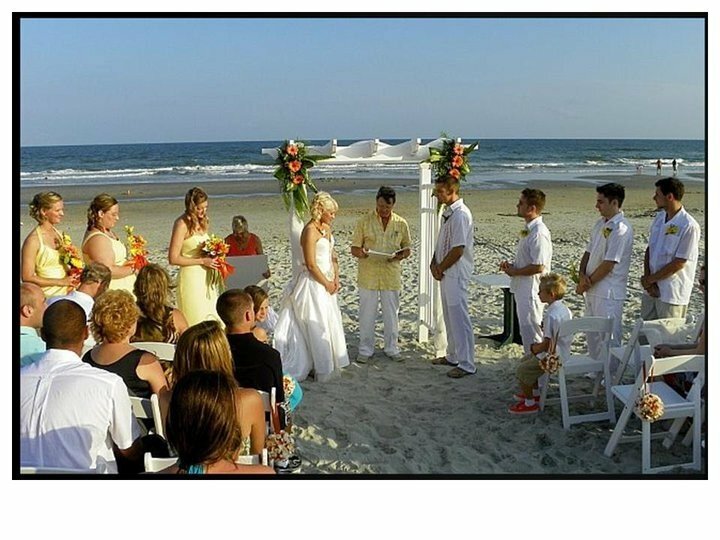 While beach weddings are thought to be limited only to the warm times of the year, many people have beach wedding throughout the year regardless of the season. This explains the importance of making sure that you consider the season, and therefore the weather when choosing the outfit for the beach wedding. Also, you can use the location of the wedding to know the prevailing weather conditions and know whether you will be packing your warm clothes or rocking in breathable fabrics. The best way for women to prepare for cool breezes when attending a beach wedding is to carry a pashmina or a shawl. Men can bring their suit jacket to manage the cold temperatures. Once you know what the weather will be like, picking the right outfit for the beach wedding becomes quite easy. The same knowledge will be used when determining the fabric to wear. Unlike other types of weddings, the material you wear to a beach wedding will depend on the setting. It should be ideal for the beach and be appropriate for the prevailing weather conditions as well. In general, light and airy chiffon fabrics for the dresses and skirts are the best choices for women. Quality mens linen shirts and pants for men. Such are common beach wedding dressing code. Part of what you wear to a beach wedding is planning on the sun. Most such weddings are held during the hot summer months, and that calls for proper preparation to protect your skin from the sun. Wear sunscreen to the ceremony, and carry a hat and sunglasses if need be. It is best to be prepared for the worst even if the event is set to be quick with limited time in the sun. While you may have many pairs of shoes that go well with your outfit, you need to bear in mind that you will be walking on sand thus the need to pick the right shoes. High heels are a no-no for obvious reasons and flip-flops, although simple and ideal for such occasions may not be an appropriate option. Always go with flat shoes, like sandals that pair well with your wedding attire. Bear in mind that since you will be showing your toes, a pedicure will do you justice! For men, loafers and open shoes would serve the purpose just right. You don’t expect this in the beach wedding dressing code, but you should be prepared. As mentioned before, careful planning of what you will wear to a beach wedding will include factoring in the wind. We have all seen the effects of wind on clothes, and you don’t want your tie or skirt blown up during the ceremony, and the best way to avoid these wardrobe malfunctions is to prepare accordingly. To be safe from the seaside gust mean should use tie clips to put their ties in place. On the other hand, flowing dresses with fuller skirts are prone to the effects of the wind and should be avoided for beach weddings. Put on a flowing maxi dress, and if you insist on wearing something short, ensure that it fits close to the body to ensure that nothing gets blown up. Light and airy fabrics that don’t cling to the body are the best choices for women, especially if the beach wedding is held during the warm seasons of the year. Such include organza, linen, chiffon, lace or cotton blends. Make sure that you pick a quality outfit that is stylish and ideal for the weather. The last thing you want is sweat marks on your attire. For men, linen pants and linen beach shirts should do the trick. You can get a variety of options to combine without going overboard. 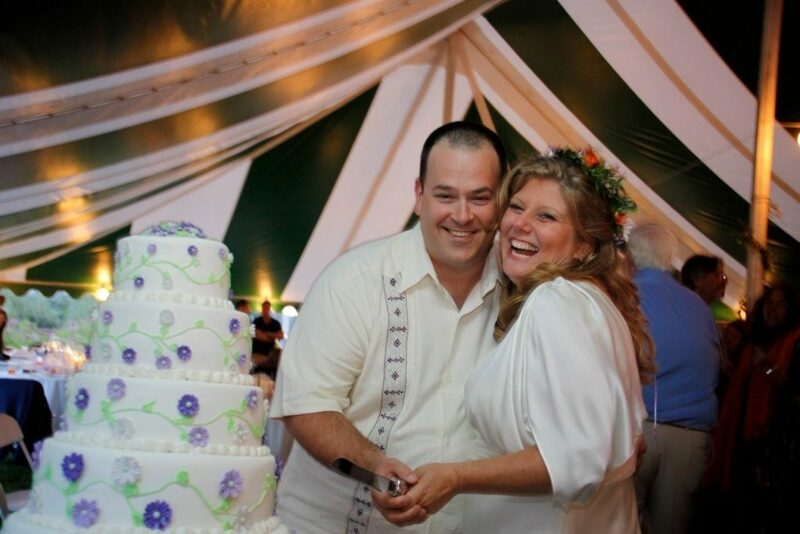 Also, guayabera shirts are ideal for beach weddings with their simple yet stylish designs. In the instance of a formal dressing code, go for a loose-fitting, lightweight suit made of linen or cotton blends. Besides, you can have a linen vest and remain classy and formal. Women have a variety of options when it comes to colors, and if you can find one that will match the background; even better. This could be specified in the beach wedding dressing code. Yes, you love that black dress, but since you will likely spend a lot of time in the sun, you don’t want to absorb heat. Think colors like lime green, aquamarine blue, sand, turquoise, fuchsia, sunflower or tangerine. What’s more, you can opt to go with floral prints, polka dots, and stripes among other patterns in these bright shades. 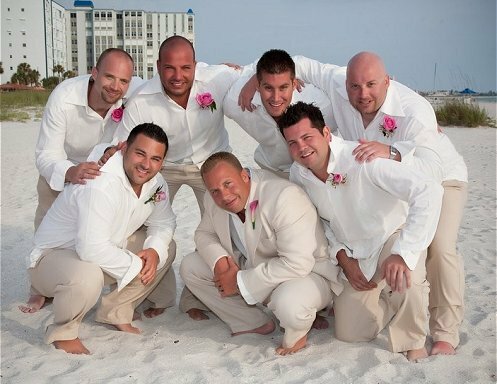 Men can put on white or other brightly colored linen shirts with beige, light sand or white linen pants for a beach wedding. Such a simple combination is cool and stylish. If you choose to wear a suit, a cream or tan-colored linen suits for beach wedding are appropriate attire for male guests to a beach wedding. It is highly likely that you will find a clue in the level of formality of the dressing to the beach wedding somewhere on the invitation. The three options are casual, semi-formal, or formal. If the invitation indicates that the dressing code for the beach wedding is formal, then you should choose an elegant gown for the ceremony. Keep the styling to a minimum and ensure that your attire is long enough. You want to remain classy and blend in with the other guests. Anything from short to tea-length dresses would be the appropriate pick for a semi-formal beach dressing and can double as an afterparty outfit during the reception. We advise choosing a maxi dress if the dressing code for the beach wedding is casual. Maxi dresses are long and relaxed fitting. They easily drag in the sand and can transition to a reception outfit later after the ceremony. A formal beach wedding dressing code calls for the traditional suit and tie for male guests. This is especially the case if the reception will be held on a yacht, resort ballroom or a restaurant. When it comes to the tie, a bow tie can also work. For a semi-formal dressing to a beach wedding, you can forego the tie and pair your long sleeve linen shirt with a linen vest. The other option is to put on a guayabera shirt with moderate styling with slacks. Male guests to a beach wedding can wear casual wedding outfits for men if the beach wedding dressing code is casual. Be keen not to be too casual and look odd one out from the other guests. Finding the best beach wedding attire for women and men is not such a difficult task. It is clear, however, that you will need precision if you are to get the beach wedding dressing code right. Always make sure that you get the clues from the invitation not to overdress or underdress for the event. The point is to remain stylish and blend in with the rest of the guests. The next step now involves picking the best-quality attire to wear to the beach wedding. Check out our extensive collection of beach wedding clothing for men, women, and children as well as accessories. We have adequate stock for formal, semi-formal and casual beach wedding clothing for guests.